Ed Kautz is executive vice president USA and international operations for Ensign Energy Services Inc. He served as IADC chairman in 2005. 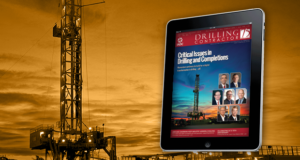 DC: Implementing automation technologies and equipment on land drilling rigs is still not universally accepted. Are you a believer in technology and automation? Kautz: Yes, I do believe in technology. Generally, new technology is adopted when it improves safety and efficiency. In some cases, the initial adoption of new technology, including the additional automation of equipment or processes, may slow down the operation as we progress along the learning curve. We have found that as crews are trained and gain comfort with the operation of the new equipment, efficiency improves. Additionally, we often see an improvement in safety as new technologies provide ways to further protect our people by reducing exposure to potential safety hazards. I think new technology is like everything else: It goes through an infancy stage. Some of the new equipment is a great idea, but the equipment hasn’t been perfected yet. Over time, I think it will continue to improve. But you have to start some place, and you have to experiment with it and try to push it. At Ensign, we will continue to invest in newer automated equipment. 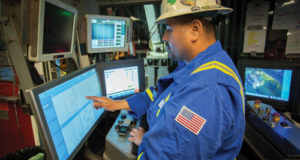 We believe that the development of new technologies will give us a competitive advantage by improving the efficiency of our operations, reducing manpower requirements and last, but not least, continuing our quest to drive to zero injuries and incidents on our rigs. 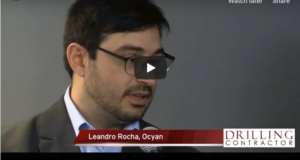 DC: What are contractors doing to reduce flat times? Kautz: With advances in bit technology, downhole technology and even surface technology, we’re drilling wells much faster. Flat times are getting greater because we’re drilling faster. So the next area we have to work on is making rigs more mobile and compact so they can move quicker, improve the way we run casing, log, cement, etc. DC: So flat times aren’t actually getting longer; they just seem longer in comparison with shorter drilling times? Kautz: Yes, the percentage of the total is higher. That’s why everybody’s starting to focus on these other areas. At Ensign, we’ve done things like compacting loads and putting them on wheels. Wherever we can, we also try to remove the need for cranes on location. 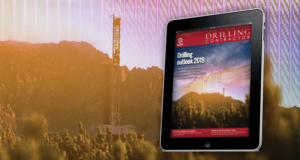 DC: What critical issues are you dealing with as far as the drilling market? Kautz: The cyclicality of oil and natural gas prices has resulted in a lot of challenges for the oilfield services industry. We spent a lot of time and resources over the past 4 or 5 years hiring and training the right people. The reduced levels of field activity in the last year or so has resulted in the loss of many talented people. As things turn around, which they will, we will again try to get experienced people back or recruiting and training new people. We’re having issues with that here in Canada right now as activities pick up for the winter season. It’s not hard to find people. But experienced people who understand drilling or well servicing rigs are in short supply. That’s probably going to hurt the efficiencies we have picked up over the years. DC: So how’s the pace of the pickup for the winter season in Canada? Kautz: It has not picked up like it has in past years. We’re also limited by the number of people we can find to man those rigs. We only expect to operate about 60% to 65% of our Canadian drilling rig fleet at the peak this winter. DC: How does that compare with peak time last year? Kautz: Last year we probably peaked at 75% to 80% of our drilling fleet in Canada. It has dropped year over year. DC: Did Ensign build any new rigs in ’09, and do you plan to build more in ’10? Kautz: We built 13 drilling rigs and six well servicing rigs in 2009. All of the drilling rigs were ADRs (Automated Drill Rigs). 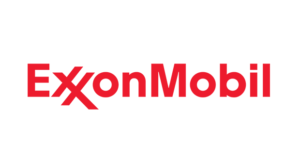 Of the seven ADRs that were constructed for the US market, three are in the Rocky Mountain area, two are in California and two are in the Haynesville Shale. The two for the Haynesville represent our entry into this new market. The six remaining ADRs were constructed for the international market. One went to Gabon, and five went to Oman. All of the newly constructed ADRs were built with long-term contracts. At this point, we don’t have any new rigs under construction; however, we are in discussions with several operators to build additional rigs. DC: Do you believe there is still room in the market for new rigs if they’re of the newer-technology designs? Kautz: I believe there is. Fit-for-purpose drilling rigs designed for specific resource plays make a lot of sense. 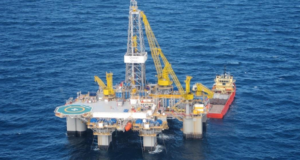 Many of our customers have realized the benefit of reduced well costs using newer technology rigs in certain areas. Newer-technology rigs come with a price, of course. You cannot economically justify the construction of a newer technology rig at today’s spot market prices. The challenge is finding contract terms that are agreeable and work for both the client and ourselves. DC: Compared with previous cycles, have you seen more older rigs get scrapped or laid down in this cycle? Kautz: I don’t think so, and I haven’t seen signs of widespread auctions and such. I think everybody is hoping the market comes back in 2010. We hope it comes back, too. Whether it will or not depends on many factors that ultimately influence oil and natural gas supply and demand fundamentals. DC: Where do you see the strongest dayrates and the weakest right now? Kautz: I’d say Canada is the weakest, and I don’t see a strong rate anywhere. Historically, it’s been proven that the rig count has to be up at about 60% to 65% before you can start improving pricing. We have a ways to go before we start to see improved dayrates again. DC: You mentioned working to reduce operating costs. Can you talk a bit more about how you’re doing that? Kautz: The industry currently has a lot of idle capacity. 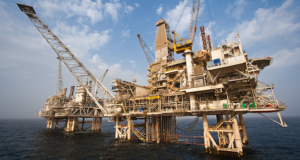 Contractors will use equipment off idle rigs as a means to reduce costs on operating rigs. For example, drill pipe and drill collars will be taken off inactive rigs and sent to where it is needed. Instead of rebuilding engines or pumps, we’ll get another engine or pump from a rig that’s not working and use it as a replacement. We’ve been trying to figure out other ways to reduce costs, up to and including wages, if necessary. We implemented a wage and hiring freeze about a year and a half ago. We did not replace everybody that left; we just worked a little longer, a little harder with what we had. DC: You mentioned earlier that the industry is drilling much faster now. And with the advent of unconventional resources, has that changed the landscape of the North American land drilling market? Kautz: It certainly appears that the production levels from the unconventional resource plays has changed the gas supply profile within North America. 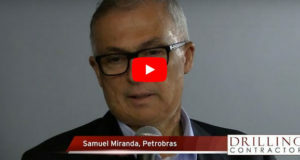 The development of the unconventional resource plays such as shale gas requires newer technology through the whole operation to be economically viable. 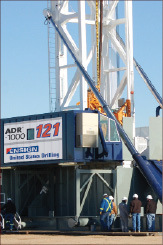 The right types of drilling rigs are important to the success of such plays. As for the conventional resource plays, it is interesting to look back to the areas of the United States where I used to work. We are now drilling wells that used to take 25 days in as little as six or seven days. So it seems to me that the industry needs more newer-technology rigs and fewer older-style conventional rigs to produce the same amount of gas. DC: The surplus rigs, are they seeking work outside North America? Kautz: We find that international operators, whether national oil companies or major oil companies, are beginning to understand the benefits of the newer technology. They are asking for new technology and are willing to pay for it. It is harder to find places to move idle equipment out of North America than it used to be. It can be done, but not easily and not without additional investment. 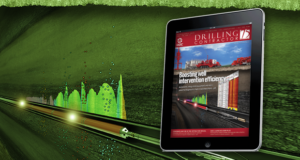 DC: Do you see drilling opportunities outside North America for unconventional gas yet? Kautz: Yes, we have customers that are looking at it. Once they drill it, they have to figure out where they are going with it. The plan seems to be to construct LNG plants so that the gas can be shipped around the world. The plants have to be built, and they’re not cheap. I think the opportunities for international unconventional gas is still a ways out there. DC: When the economy crashed in 2008, the credit markets almost came to a standstill. While that situation eased up over the course of 2009, is there any worry that the industry won’t get easy access to capital, which might, in turn, impede E&P in the long run? Kautz: North America is very capitalistic. If natural gas prices get back up to a level that makes projects economically viable, I believe the capital will be there. DC: Environmental regulations are getting stricter. 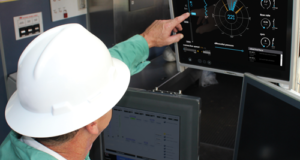 How is Ensign balancing compliance with regulations and running efficient drilling operations? Kautz: We comply with all regulations. But we also try to educate lawmakers and different groups about our operations and push for the right balance. We support the IADC in its efforts on that front. 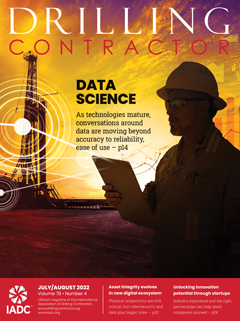 DC: Are you seeing technology advances that are helping contractors to improve environmental performance? Kautz: Yes, on a number of fronts. There are more efficient engines that burn less fuel with fewer emissions. New technologies are being developed to more effectively handle fluid and cuttings disposals. 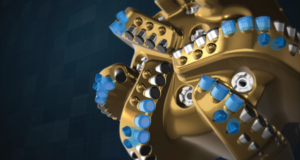 Our new rig designs have a smaller footprint, reducing impact on the environment due to reduced drilling location size and fewer rig move loads. Additionally, more equipment is being made to run quieter to control noise pollution. All of the above are examples of an industry that continues to do its part for the environment. DC: What are your challenges in achieving what you want to achieve in your position at Ensign? Kautz: The biggest challenge is trying to be in every place that I’d like to be to keep a handle on things and keep things moving forward. The ability to communicate effectively is critical. You have to learn how to deal with different cultures and bridge the communication gap. Even if two people are speaking the same language, sometimes you still hear only what you thought you heard. And it’s tougher still with multiple languages. I imagine most people who work internationally face the same challenge. But that is what makes it fun in the drilling business. Something is always changing. DC: How will Ensign try to grow either the company itself or its markets in ’10? Kautz: First and foremost, we will remain focused on improving the results from the 12 countries where we currently operate. We are detail-focused and will push to continually improve the efficiency of our existing operations. We will also look for growth opportunities from new contracts, rig-building opportunities and consolidation opportunities. Ensign is a growth company, and our strong balance sheet provides us with the ability to continue to pursue our opportunistic growth strategy. We will see what opportunities the uncertainty of 2010 provides. This title is misleading. It should say “The Rig’s automation learning curve must be overcome” or better yet, “The oil drilling industry’s automation learning curve must be overcome”. Multiple vendors creates automation challenges. The equipement is not cheap and little, if any money, is set aside for any project concerning automation. 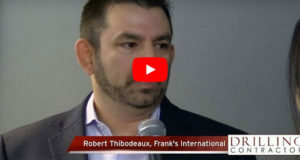 Manufacturing automation is years ahead of drilling automation, even with some commitments by larger companies to automate the drilling process.